The heritage-listed White Bay Power Station is one of the most recognised landmarks in the Bays and includes surrounding lands to the White Bay foreshore. By creating a new technology landmark for Sydney that draws on the Precinct’s working heritage, we can enshrine the area’s history while adapting it for the knowledge-economy jobs of the future. This workshop is a unique opportunity to learn about the vision for transforming the site, our focus on the decontamination and remediation of the Power Station to facilitate its adaptive reuse, and the unique heritage and history of this landmark building. About the Host: Urbangrowth NSW Development Corp. The UrbanGrowth NSW Development Corporation is responsible for promoting, co-ordinating, managing and securing the orderly economic development of five Growth Centres across metropolitan Sydney, including The Bays. The Bays is a whole-of-government approach being led by UrbanGrowth NSW Development Corporation. The Bays comprises 5.5 kilometres of harbour front, 95 hectares of largely government-owned land, and 94 hectares of waterways in Sydney Harbour. The vision of the project is to drive an internationally competitive economy, through the creation of great destinations on Sydney harbour that will transform Sydney, New South Wales and Australia. This workshop will make the case for why we need to become much more informed designers in regards to material consumption. Beginning with an overview of bamboo architecture and case studies of Cave Urban projects, the discussion will unfold how bamboo can play a role in reducing emissions in the building sector. Following a presentation and discussion, students will be guided through a model making exercise exploring how bamboo can generate new forms in design. It will be a chance to discuss how our own process of design moves between drawing, model making and parametric design. Cave Urban is an international design collective that explores the intersection of art and architecture. The practice approaches design through an emphasis upon sustainability, community engagement and the continuation of vernacular tradition. Collaborating with numerous organisation and artists globally, Cave Urban promotes cross cultural knowledge exchange as a means to explore, create and test new structural systems outside the confines of the architectural profession. With gentrification driving development, raising property prices and pushing small businesses from the inner city to the fringes, Precinct 75 is a creative, professional hub occupying the old Taubman’s paint factory in the inner-west suburb of St Peters. Occupying one-seventh of the site, the open car park sits as an eyesore amongst the surrounding low density Victorian, Federation, Interwar and Contemporary houses along Edith Street. This carpark presents as an opportunity to develop an affordable housing scheme aimed towards the young profession ‘city makers’ who are geared towards a more localised lifestyle, mixing both work and life. BTB Architecture Studio is an energetic, design driven architectural practice recognised for its creative, thoughtful design ability and deeply sensitive approach. 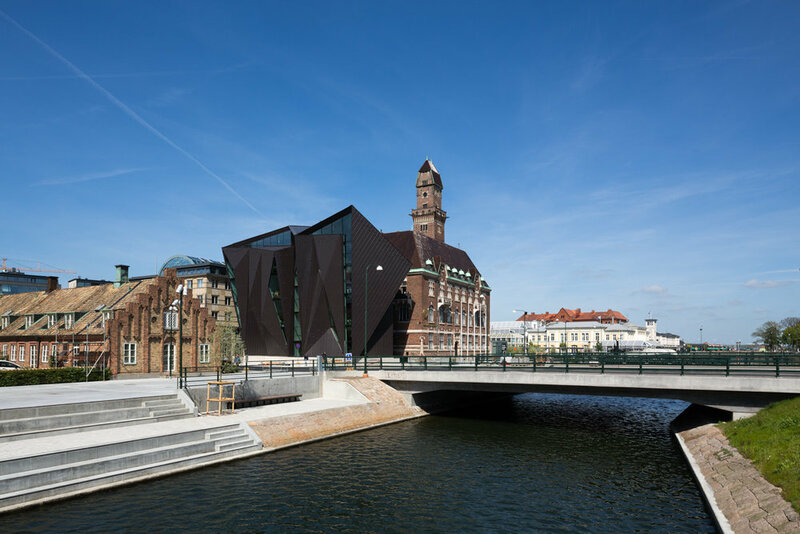 We have successfully completed a wide spectrum of projects, ranging from residential projects of all scales and budgets, major public galleries, museums and event facilities, heritage restoration and adaptive re-use, through to creative building remediation projects. Our work has been widely published, nationally and internationally and has been recognised in numerous local, state and national awards from the Australian Institute of Architects, Australian Steel Institute, HIA-CSR Housing Industry Association and NSW State Government. Starting off as a sole practitioner, especially fresh out of university, can be daunting. For 15 years, Jiri Lev worked in the advertising industry before eventually setting off to become a 3rd generation architect. During his first year at the University of Newcastle, he took on his first architectural commission, Gulgong Holtermann Museum. Since then, he has completed close to 40 projects. In this workshop, participants will learn the philosophy and principles behind a successful architecture startup and take the first steps towards setting up their own practice. In this workshop, COX Architecture will host a 90 minute minimal living competition, geared towards pushing the limits of the ADG guidelines. Attendants will be working in small groups in the collaborate workspace at the COX office, and will present their ideas to a jury of COX Directors. The winning scheme will receive a prize! COX Architecture is a multidisciplinary Australian practice that integrates architecture, planning, urban design and interior design. Offices are located in Sydney, Melbourne, Brisbane, Perth, Canberra, Adelaide, Kuala Lumpur, Abu Dhabi, Dubai and Muscat, with approximately 400 staff overall. COX is unusual for a large multi-studio practice in that they work to a defined design ethos in all studios. This ethos is based upon principles of structure, craft, art and nature. A guided tour of the construction site of Green Square Library and Plaza. The tour will be led by the project architect, Matthias Hollenstein, from Stewart Hollenstein. The project is mid construction and is expected to open in June 2018. The tour will give attendees the chance to experience a construction site and hear how the project has evolved from competition winning scheme to final building. The tour will start with a small presentation of the library project at the office of Stewart Hollenstein in Redfern. The library site is a short 15min walk from their office. Stewart Hollenstein is an award winning architecture and urban design practice established in 2010. The design studio is committed to addressing the challenges of contemporary society through the design of unique built environments. The SH team are led by Directors Matthias Hollenstein and Felicity Stewart who bring to the practice a broad range of experience gained both in Australia and overseas. Stewart Hollenstein is proud to work across multiple typologies and scales. Current projects multi-residential, hospitality, public and urban design projects. The office recently won the competition to redesign Jacksons on George as part of the Lendlease Circular Quay development. ABout the Host: COMing sooN! Both an in-depth and textured portrait of enigmatic Danish architect Joern Utzon, as well as the story of perhaps the 20th Centuries most ambitious architectural project, this tour will draw you into the amazing visionary world of the architect of the Sydney Opera House. He proclaimed himself a builder more than an architect and prior to his ground-breaking competition entry in 1957 he had only a few small houses to his name. Discussing the sources of the young Dane's deepest inspiration, his working methods and influences, we will chart the development of Utzon's ideas and their materialisation in the platform, concrete shells and ceramic skin of Sydney Opera House. You will discover the influence of towering figures like Le Corbusier, Aalto, Saarinen, Mies van der Rohe, Lloyd Wright and Gaudi, and the ways in which his work was at once contemporary whilst drawing its inspiration from the work of the ancients. Using discarded drawings, models and prototypes, Utzon's design of the acoustic interiors, glass walls and furniture will be discussed and you can judge for yourself how much Sydney lost when he was forced to leave the building half-finished. The tour finishes with the recent Opera House refurbishment, a decade-long collaboration between Jørn, his architect son Jan and Sydney architect Richard Johnson. Years ago, the working-class suburbs immediately south and west of Sydney like Surry Hills, Chippendale and Ultimo were associated with pestilence, poverty and crime. Over recent decades, this part of Sydney has been been undergoing massive change with a steady influx of squatters, students, artists and other creative types who have built a thriving contemporary art, architecture and design scene. Sure enough, the money soon followed. Both a celebration of some extraordinary recent architecture as well an exploration of the city’s once gritty but rapidly changing inner-city suburbs, this tour explores the area around Central Station where four suburbs kiss; Redfern, Surry Hills, Chippendale and Ultimo. Our route will be structured around a number of inspiring architectural and urban projects, contested sites and politically charged themes. These include buildings by Neeson Murcutt, Frank Gehry, Jean Nouvel, Durbach Block Jaggers, Smart Design Studio, CHROFI and Tonkin Zulaikha Greer. How can architecture explore the opportunities unlocked by the rise of the share economy? Disruptive business models such as AirBNB, Uber, Goget and Deliveroo are having a growing influence on the way we inhabit the city while at the same time unlocking alternative revenue streams for small businesses and asset owners. Continuing the lessons learnt from our recent competition submission for a mixed use development in Byron Bay, can we explore a disruptive development model that serves as an incubator for these alternative forms of inhabitation and ownership while at the same time subsidising the mortgage repayments of first home buyers? What role can a strata corporation play in the management and distribution of wealth and value unlocked by these emerging revenue generating assets? 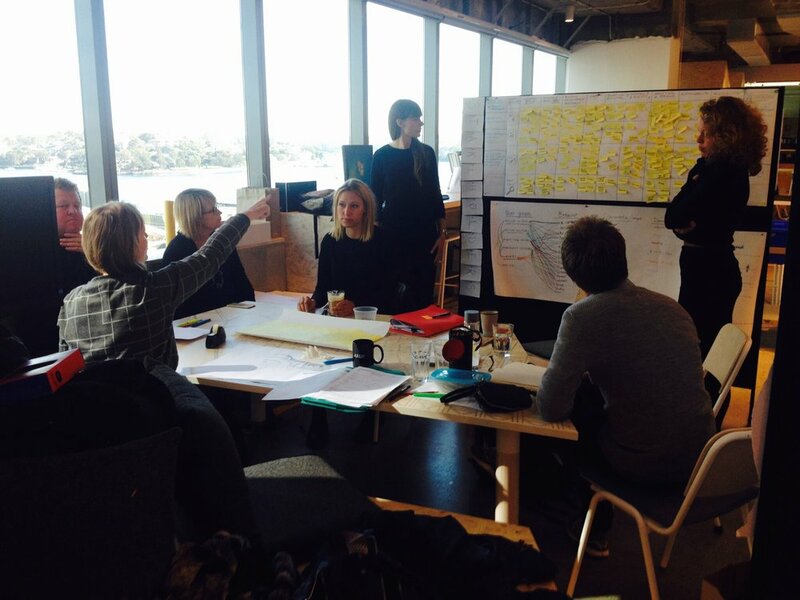 Working in groups of 3 and using trace sketches as the primary design tool, each team will develop an alternative housing scheme for a site in Manly. This scheme will explore a model of housing that integrates short term stays, asset rental, commercial space rental and incubator spaces with a compact affordable housing development as a provocation for a housing future that tackles affordable housing not just through cost minimisation but also through subsidisation. Our design approach is exemplified by the practice's founding project, TKTS Times Square in New York. It is widely acclaimed for the way in which the design provided public and private benefits, while simultaneously strengthening the essential character of Times Square. It has been this ability to find solutions that work at multiple levels that now characterizes the way in which the we approach all our projects. We work across all scales of projects from houses to cities. Our approach is highly bespoke and expands from the specific requirements of each project and the clients' desires. We are committed to the fertile ground that exists between people, architecture, and the world. Design is not just focused on the physical project in of itself but framed as an operative agency that drives urban, social, cultural, environmental, economic and political outcomes. Whilst this ‘big picture’ approach gives clarity to the practice's strategic thinking, the practice also endeavors to match this logic with a parallel pursuit for evocative architecture of unexpected delight. Award-winning architect Angelo Candalepas explores the driving forces behind architectural design & education. Join the discussion at Candalepas Associates’ home in the CBD, a twentieth century brick warehouse beautifully re-imagined as a contemporary architectural studio. Candalepas Associates holds a reputation as a leading Architectural firm catering for a broad range of government, institutional, corporate and private clients. The practice is renowned for the direct engagement in the design and architectural procurement process by its Director Angelo Candalepas. During the last seventeen years, the practice has worked on more than 800 projects, primarily in Sydney and NSW as well as in WA, Victoria and Queensland. The work of the practice is the recipient of over 25 Australian Institute of Architects Awards and Industry Awards, including the Sulman Medal in 2009, the Frederick Romberg National Award in 2011 and the Harry Seidler National Award in 2016. Long before SEPP 65 ever existed, Potts Point was the densest neighbourhood in Sydney that boasted some of the best apartment living in the city. One could argue that despite the tightness and lack of "amenity" (as defined by the SEPP), the apartments are amongst the most liveable in the city. Here's your chance to get inside 17 Wylde Street by Aaron M. Bolot, which just took out the Enduring Architecture, National Award 2017. We will walk around Harry Seidler's Gemini (+ maybe see if we can sneak a peak) and see what a full tower of studios looks like. And finally we visit an a-typical 34m2 apartment that breaks all the rules in the Apartment Design Guideline, but maybe has the best roof garden in Sydney. At Scale Architecture we combine thoughtful design and pragmatism to produce original, sustainable and exceptional spaces. Our aim for Scale is to harness design research for the real world, to innovate, progress and move architecture forward. By 2011 this approach, and an ambassadorial pursuit of excellence through teaching and collaboration, earned Matt Chan the Emerging Architect Prize. Scale is committed to well-planned, vital and liveable urban space that recognise the finiteness of our resources. That's why we're very excited to be among the first Sydney firms licensed to deliver Nightingale Housing's progressive and ecologically-driven housing model, which puts people and design before profit. In a ‘hundred year life’ health matters more than ever. Emerging evidence suggest that people are living longer and predict that a child born in 2007 has a 50% chance of living to 104 years old. How will you spend all these extra years and what impact will the buildings and healthy habits have on your ability to live a productive and fulfilling life? Please join Nicole Chew and Duncan Young at Lendlease to explore the impacts of workplaces on health and wellbeing. Nicole will guide you through a yoga and meditation session to show you tools to focus on your health, manage your stress and find confidence to live a full and meaningful life. Duncan will run a TED style session focusing on elements of workplace wellbeing that help individuals thrive, not just at work, but in life. He will share his findings and knowledge on the workplace study and how Lendlease as a business has targeted the issues from research, design and workplace strategy. Duncan Young is the Head of Workplace Health and Wellbeing at leading international property and infrastructure group Lendlease which has operations in Australia, Asia, Europe and the Americas. His strategies and programs are based on research but are grounded in the workplace environment as this is where we spend most of our waking time. He believes that health is a journey and that small steps can lead to larger incremental change. His latest research on stress and energy renewal uses bio-feedback devices developed in elite sports to help ‘corporate athletes’ perform at their best. When he is not travelling Duncan is based in Sydney at Lendlease’s global headquarters. Sydney’s temperate climate allows him to pursue his twin passions of surfing and ocean-swimming (his personal tools for keeping in-balance). Durbach Block Jaggers invites students to join our team at 9 Roslyn St, Potts Point. During this time, students will partake in an office tour where they will see first hand the working processes of our firm – from sketches around the coffee table to working balsa wood models. Following this, we will take students up to the office rooftop garden for morning tea and a Q/A discussion on our practice and our latest projects. Durbach Block Jaggers Architects is a Sydney based Architectural firm with a permanent team of twelve who have worked together for over twenty years. We are a practice committed to search for the possibilities of architecture itself – its power and poetry; its pleasure and necessity. We work within the parameters of appropriateness and innovation, subscribing to a sensibility of sensitivity, seamlessly integrating landscape and architecture. Our team is involved in every aspect of every project from inception to completion. We work from early conceptual framing to the forging of meaning, form and materiality. We are inspired by collaborating with others, working within a larger team to find creative solutions to complex problems. CplusC Director Clinton Cole is architect, builder and client for the unique Darlington Residence, a corner terrace in a heritage conservation area. Maintaining aspects of the existing building shell while adding an extra level and updating the façade to suit contemporary living wasn’t challenging enough, so we decided to add an double skin façade with an integrated aquaponic system, productive roof garden and underground water storage – all on a 96m2 site. You can find out more at this interactive building site tour with Clinton and project architect Christina Cheng. Clinton Cole is the founder and director of CplusC Architectural Workshop. He is a registered Architect, a licensed Builder and an accredited Construction Supervisor. With over twenty years’ experience in the architecture and construction industries, the success of the CplusC brand can be attributed to Clinton’s unwavering dedication to producing premium quality, genuinely sustainable architectural Solutions. CplusC’s projects have been recognised across the architecture, construction and sustainability representative sectors both national and internationally. Regularly invited to present his ideas to industry peers, academic panels and design publications, Clinton is a highly respected member of the profession and his company is at the forefront of Building Information Modelling”. As more people choose to live in the inner city the demand for affordable housing is increasing exponentially, yet at any one time there are significant amounts of vacant commercial tenancies within the city. As workspace culture becomes more agile these growing unoccupied commercial tenancies offer an opportunity for addressing the affordable housing issue. Using the BVN studio as site, the workshop will explore how we as Architects and Designers can begin to imagine reclaiming empty commercial space for housing. Rejecting the Apartment Design Guidelines will enable us to develop flexible housing solutions that offer a space for community creation, giving residents agency and participation in their own planning. During the workshop participants will negotiate the challenges of designing for a diverse demographic within the bounds of one floor plate in a high-rise. They must decide what they are willing to give up and engage in space negotiations with occupants to find opportunity in the expanding and contracting needs of residents over time. BVN is widely acknowledged for its award-winning design across a broad and diverse portfolio. It is owned equally by 12 principals, generating a culture of collaboration and a commitment to ongoing evolution and progression within the practice. The principals are supported by nearly 250 staff based in four offices in Brisbane, Sydney, New York and Hong Kong with additional project offices as projects require. An innovative technology platform integrates the practice’s multiple sites into one global studio, allowing people in different studios to work on any project across the practice. 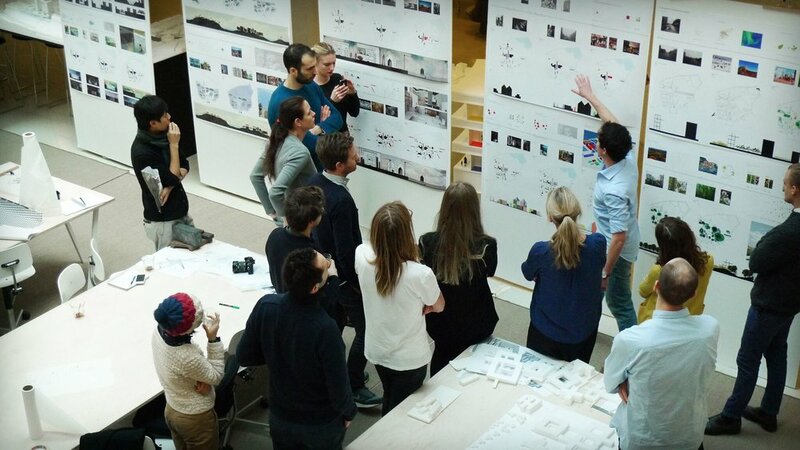 This ‘one studio’ model also means that the right people are matched to each project, irrespective of geography. With over 300 awards in design and sustainability, BVN has demonstrated consistent leadership in design and innovation. The practice has a powerful pool of design talent, with a design culture founded on the principle of ‘collective creation’. This approach ensures each design is informed by a diversity of voices, depth of skill and breadth of experience. Collaboration extends also to clients, users and developers to create designs which respond to their environment, fulfil the needs of the client and resonate with those who engage with the building regularly. BVN is recognised for its innovative projects across a range of sectors and scales - masterplanning and urban design, civic and cultural, health and research, education, residential (single and multi), workplace, sports and defence facilities. Hosted in our MLC Studio, Architectus will hold an intensive workshop focused on “High Rise Education” exploring how architecture, urban design and planning can come together to develop alternative approaches to densified education. The aim of this workshop will be to consider the potential for redevelopment of a school campus, Punchbowl Boys High School, to form a pivotal part of the Punchbowl urban renewal precinct which forms part of the Sydenham to Bankstown Corridor. The Plan identifies that Punchbowl Boys High School has the potential to facilitate the provision of community and social infrastructure and public open space to support the increase in density within Punchbowl. The workshop will comprise of 5 groups of 3-4 students, with each group focusing on one of the following questions. At the end of the workshop, groups will come together to discuss and present their concepts in an open forum. Each group will deliver a vision and design concepts, varying from Master Planning to architectural detailing. With specialist expertise working across select industry sectors, Architectus enhances the way people live, learn, work and travel through their integrated and collaborative approach to planning and design. Architectus’ work has been honoured with over 120 awards from the Australian Institute of Architects, the New Zealand Institute of Architects and the Planning Institute of Australia, as well as awards from specialist industry sectors. Architectus has studios located in Sydney, Melbourne, Brisbane, Adelaide, Auckland, and Christchurch. Architect Rena Czaplinska-Archer opens up her 1997 Willoughby home for a unique experiential workshop. Altering one’s spatial perception, she will guide participants through Anna Halprin-style sensory awareness exercises and an unorthodox sketching session. Rena will discuss her home’s organic design through the lens of Frank Lloyd Wright’s “The Natural House” and review its references to Japanese architecture, Ian McHarg’s “Design with Nature”, and Lawrence & Anna Halprin’s ecologically designed Californian ‘Sea Ranch’. In a group discussion, Rena would like to investigate the relevance of these ideas today and how they have filtered into contemporary Australian residential architecture. Rena Czaplinska-Archer PhD is a practicing Australian architect specializing in ecological and healthy building design, a lifelong educator, researcher and writer, visual and somatic practitioner, a former Sydney University Architecture Faculty Lecturer, student of Anna Halprin and a founder of Time for Drawing workshops which are offered in Australia and internationally. Her process helps the participants to shift from their habitual ways of moving, seeing and thinking and releases their natural impulse to draw. Rena studied architecture in Poland and at the Architectural Association in London and Social Ecology at UWS in Sydney. Her PhD on architecture of James Stirling focused on movement. Her lifelong passion and interest include cross disciplinary research combining art, architecture, somatics and the writing of Bergson, Merleau-Ponty and Pallasmaa. Rena received several awards and her work and writing has been published both in Australia and in Europe. Andrew graduated from the University of Queensland with Honours in 1986. In 1994 Andrew established lahznimmo architects with partner Annabel Lahz in Sydney. The firm mainly concentrates on public and urban design projects, and has a special emphasis on education and library architecture. The firm’s work is widely published and has received numerous awards from the AIA. Andrew maintains a special interest in architectural criticism and journalism and is a regular contributor to architectural journals. Andrew has delivered numerous professional lectures throughout Australia, is regularly invited to be a guest critic at Australian universities and is an Adjunct Professor in the Faculty of Architecture, Design and Planning at the University of Sydney. Andrew was elected to the NSW Chapter Council of the AIA in 2013, and again in 2015. In 2017 he was appointed NSW Chapter President. JPW will be hosting an office tour and presenting drawings and models on current and past projects. The office tour will also include a Q&A on a career in architecture. Johnson Pilton Walker is a multi-disciplinary design practice carrying out a wide range of work in Australia and overseas. We are acknowledged for our expertise in Architecture, Urban Design, Landscape Architecture, Planning, Interior and Exhibition Design. JPW is committed to achieving projects of excellence and consistently delivers innovative projects of all types and scale. The core of our philosophy is the belief that each project, client and site holds unique opportunities that our multi skilled design and management approach can synthesise into an outcome that exceeds the project objectives is of its time, is environmentally responsible and makes a lasting contribution to its place. JPW embraces the philosophy that each project holds unique opportunities to make a lasting contribution to its place. The directors and key staff of JPW have been together since 1985. We have a pro-active and multi-disciplined design approach that seeks to turn constraints into opportunities and to develop highly innovative design solutions. The pursuit of professional excellence is our fundamental aim, which can only be achieved through responsible design, sound technical expertise and competent project management. JPW has completed projects of every scale from modest residential additions to significant urban redevelopment schemes transforming cities. We take great pride in producing award-winning buildings that meet and exceed our clients’ expectations in terms of quality, time and cost. Robert Beson is a registered architect and founding director of AR-MA. Robert has led AR-MA as a transdisciplinary architectural practice, merging award-winning design with proven expertise in the delivery of challenging buildings. This mixture responds to changing supply chains affecting how we design, manage and manufacture buildings for construction.Throughout his career, Robert has been involved in architectural research and teaching. He has taught at various architecture schools in Australia since 2006, and continues to lecture worldwide. Robert studied architecture at the University of Sydney, where he received his Bachelor of Design (Architecture), and the University of Technology Sydney, where he received his Master of Architecture. Prior to studying architecture, Robert studied Classics (Latin and Greek) at the Colorado College. He wrote his thesis on the origins of the novel and received his Bachelor of Arts in 2000. The WeLiveHere campaign will be hosting a student workshop lead by Joel Spring and Genevieve Murray of Future Method on the community engagement processes behind the social housing redevelopment of Waterloo. Students will be workshopping creative ideas on readapting and refurbishing the current social housing towers to add value and positive change to the environment of the social housing residents. #WeLiveHere2017 celebrates the community of Waterloo before a large scale redevelopment changes the area forever, bringing with it swathes of high-density private dwellings and an uncertain future for the thousands of existing residents. It is also a dynamic platform to generate valuable discussion around the importance of public and affordable housing, and the right of every person to a home. Future Method Studio is a collaborative and interdisciplinary practice working across research, activism, architecture, installation and speculative projects. 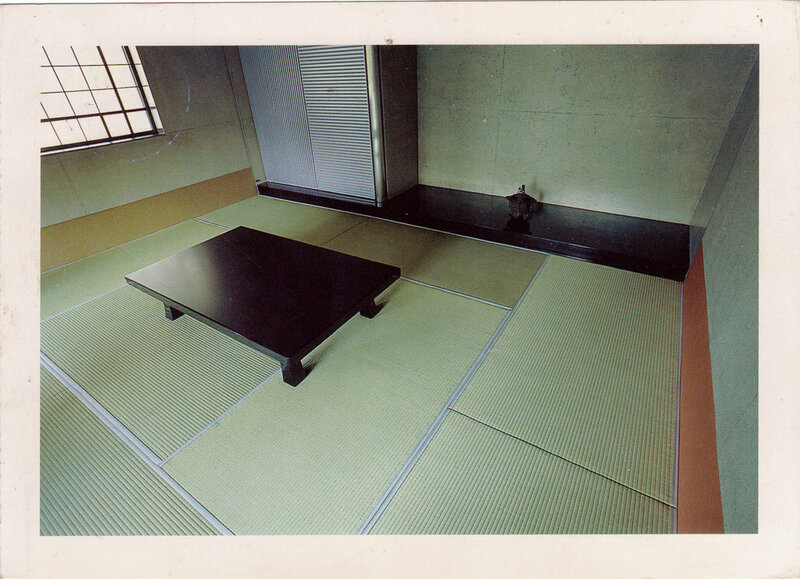 The focus of the studio is on material culture and creative methodologies that are impact and process driven. The architect of Sirius, Tao Gofers leads the 60 minute walking tour around Sirius - telling the political, historical, architectural, and social story of Sirius. 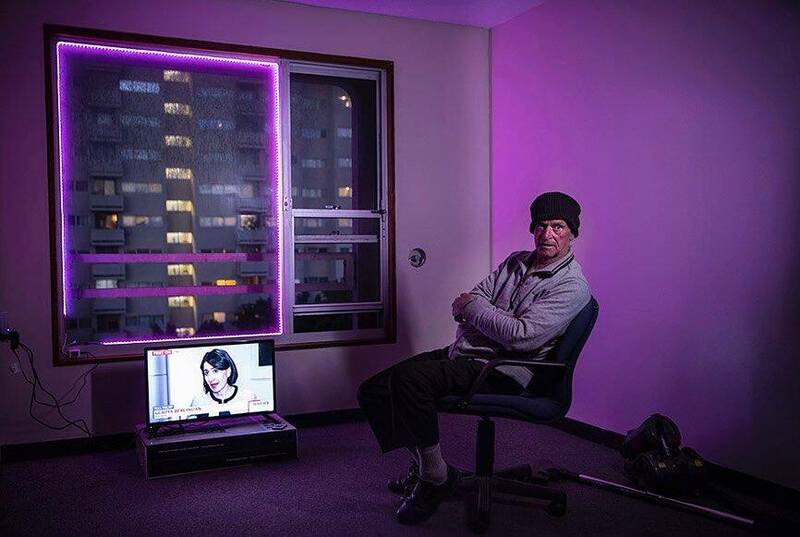 The tour ends with a visit to Myra, the 90 year old resident of the 10th floor with flashing ‘SOS’ lights in her bedroom window. At the heart of our campaign to save Sirius and its residents is a desire to celebrate the building and its people. Save Our Sirius, with the generous help of our supporters, have crowdfunded a $50,000 legal challenge the NSW Government in the Land & Environment Court - which we won. Held a rally of over 1,500 people showed their support for Sirius. Ran tours of Sirius with the architect Tao Gofers, and curated an exhibition of over 60 artworks of Sirius and its residents. The future of Sirius is unknown, but we will continue to fight for Sirius, its residents, and heritage in NSW. The team from Terroir will be taking students through a design process on one of their recent urban scale projects. Students will get a unique insight into Terroir's design approach and learn skills in conceptualisation, model making, community and client engagement and more. Students will particularly be asked to consider temporal aspects relative to the project and the possibilities that emerge through these considerations. TERROIR is an international office practicing architecture, urban planning and creative research. TERROIR is dedicated to the realization of projects that insist on the invention of new possibilities out of each unique condition. Our innate curiosity about the world is bought to all aspects of a project, such that clients come to realize they are involved in the redesign of a little world of which their site/building is a key instrument or part. Multidisciplinary collaboration between architects, engineers and designers leads to thoughtful and holistic designs achieved through the early integration of technology with concept. In this workshop, MADE by the Opera House Alumni Andrew Weetman and Awkar Ruel will delve into their experiences of its challenges, and opportunities and creative processes. 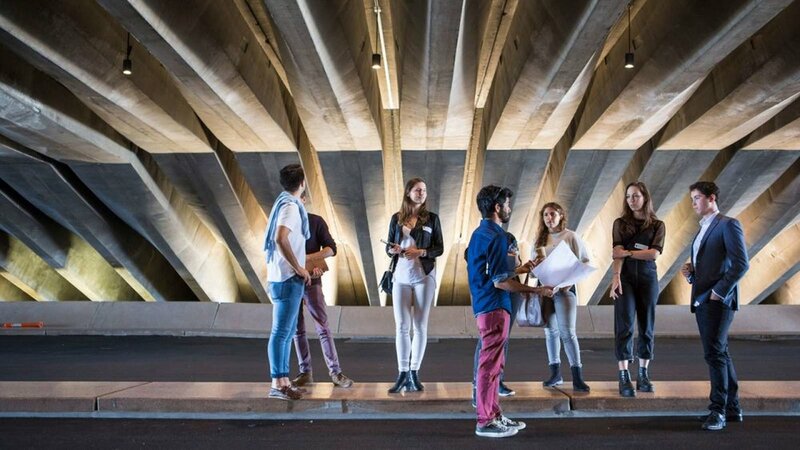 MADE by the Opera House aims to further Jørn Utzon's vision of multidisciplinary collaboration between architects, engineers and designers as pioneered in the construction of the Sydney Opera House. A good amount of knowledge production, which leads to relevant architectural gestures, occurs in places outside the institutional framework of the profession and/or the academic satellites. The field obsession with its instant hagiography tends to hide away the value of such important moments of casual epistemology. As part of this festival if ideas, Miguel Rodríguez-Casellas, architect, writer and critic, will host an informal/formal dialogue on negativity from the cheerful spaces of a Darlinghurst pub. Anyone fed up with faux good intentions and the increasing depolitization of architectural education that promote them, is invited to drink, rant and speculate on scenarios of possibility and emancipation from the least likely/most likely space of architectural production: the bar. Miguel Rodríguez-Casellas is an architect, writer and academic with a career spanning twenty-four years. He graduated from Princeton University in 1991 with the Suzanne Kolarik Underwood Prize for outstanding thesis and the American Institute of Architects’ Henry Adams medal. He has taught for seventeen years, acting as dean of Polytechnic University's School of Architecture from 2006-2010. He has been a consultant on urban design, infrastructure and planning issues, with a successful turn as curator of two major public art projects in his native Puerto Rico. He relocated to Australia four years ago, but maintains a design and journalistic/writing practice in Puerto Rico, which included a fortnightly opinion column in Puerto Rico’s premier newspaper, a monthly article for on-line journal 80 grados, and a weekly radio show, Puerto Crítico. His upcoming book, “Drag Kings: a (counter) magisterial exercise,” is a collection of essays addressing architecture, politics and cultural criticism within the translocal perversities of the Caribbean/American experience.